Here are some great photos of the Pure Surface event last night hosted by Stacey Tran. I had the privilege of reading from Plastic: an autobiography accompanied by movement from Allie Hankins and a film by Jodie Cavalier. Thank you to Robert Duncan Gray for the photographs. I’m pretty excited to be part of two events here in PDX in August. 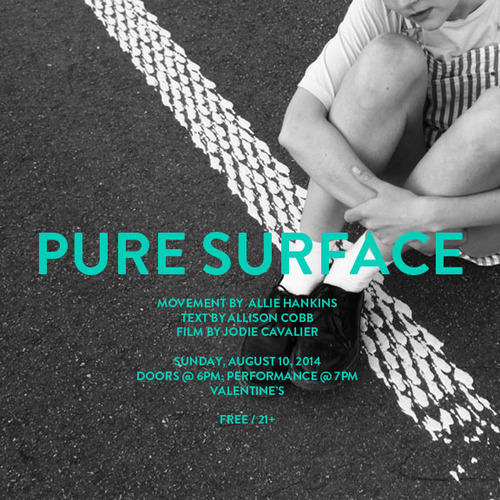 Pure Surface: First, I’ll be part of a Pure Surface performance curated by the amazing Stacey Tran. I’ll be reading from Plastic: an autobiography accompanied by movement from Allie Hankins and film by Jodie Cavalier. 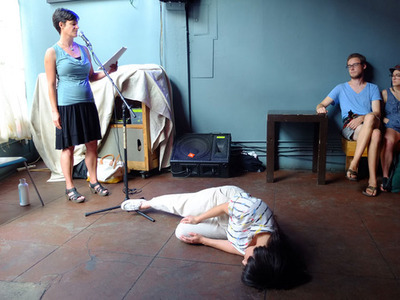 The Switch: Later in August, I get to read poetry with Jacqueline Waters, who has a new book out from Ugly Duckling Presse, as part of The Switch reading series at IPRC. Where: IPRC, 1001 SE Division St.